Swiss institute of bioinformatics offers international award to a young researcher who has carried out outstanding research focused on bioinformatics or computational biology. The award is open worldwide to young researchers (graduate students or having finished their PhD within the last six years preceding the closing date for applications), who has carried out and already completed an outstanding research focused on bioinformatics or computational biology. An international jury of high-ranked experts will review the applications and designate the award laureate (hereinafter “the Laureate”). The jury is autonomous and can decide not to attribute the Award. The jury’s decisions are final and without appeal. The Laureate will be announced during the 12th [BC]2 Conference in Basel, Switzerland, on 8-10 June 2015 and is therefore expected to attend the [BC]2 Conference. The Award carries a cash prize of CHF 10,000, an award certificate, and travel expenses for the Laureate to attend the [BC]2 Conference. The usage of the prize money is unconditional. A CV including list of publications. 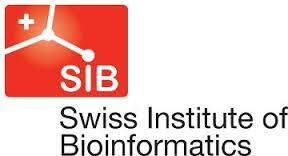 Posted on January 9, 2015, in Africa, Career, Competitions, Global, Opportunities and tagged SIB International Young Bioinformatician, SIB International Young Bioinformatician Award, SIB International Young Bioinformatician Award 2015, swiss institute of bioinformatics. Bookmark the permalink. Leave a comment.